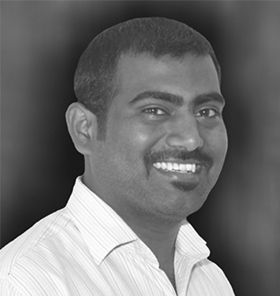 Gurumurthy Kasinathan is founder and director of IT for Change. He has 28 years of experience in the development and corporate sectors. Guru leads projects in the area of education, including in research, demonstration projects, systemic teacher education reform and policy advocacy. His areas of expertise include open educational resources, ICT integration in education and school leadership. He is a visiting faculty at TISS Hyderabad for their MA Education program. He was earlier with Azim Premji Foundation, where he was deputed to work in the ‘Policy Planning Unit’in the Karnataka education department. agenda on issues of ‘data for development’ and digital technologies and gender justice.She also provides strategic support to IT for Change’s field centre Prakriye in its training programmes for women’s rights groups on adopting digital tools in their field practice, and critical ‘education for empowerment’ for rural adolescent girls.She has a Masters in Urban and Rural Community Development from the Tata Institute of Social Sciences, Mumbai. 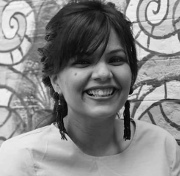 Parminder is the executive director of IT for Change. His areas of work are ICTs for development, Internet governance, e-governance, and digital economy. He has been a special advisor to the UN's Internet Governance Forum (IGF) and UN Global Alliance for ICTD. He was a part of UN working groups on IGF improvements and on enhanced cooperation on International Internet policy issues. He was the first elected co-coordinator of the premier global Internet governance civil society group Internet Governance Caucus. He is a founding member of Just Net Coalition and Internet Rights and Principles Coalition. He was associated with the group that helped develop India’s draft e-commerce policy. Amrita is engaged in policy research on Internet-related public policy issues and inclusive e-governance. She is currently handling a regional research study on evaluating the effectiveness of existing legal-institutional response mechanisms to technology-mediated Violence Against Women in South Asia, focusing on two country-contexts: India and Bangladesh. She has previously worked with a Member of Parliament as part of the Legislative Assistance to a Member of Parliament Fellowship offered by PRS Legislative Research. 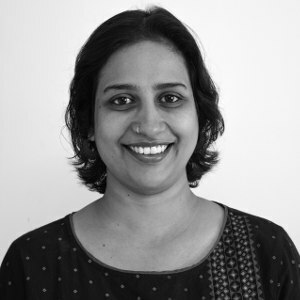 She holds a Masters in Law from NALSAR University, Hyderabad, with a specialisation in intellectual property rights. Amruta recently graduated with a Master of Art (Art and Culture Journalism) from Columbia University in the City of New York. An independent journalist, she has previously worked with The Indian Express as a features reporter. Her work as an editor for a book on immigrant women in America got her interested in social justice and gender policy and brings her into the offices of IT for Change. Amruta reports on the culture of art, food, gender, and technology in India. Anand works as a Programme Associate in the education team. He has been working with government high schools to assist teachers in innovating new pedagogies in the classroom. He has been exploring multi-lingual approaches to language learning, through ICT integration. He has facilitated varied language activities with teachers and students, including activating libraries, fostering creativity in teachers and students to create prose, poetry, digital stories, wall papers, and magazines in these schools. 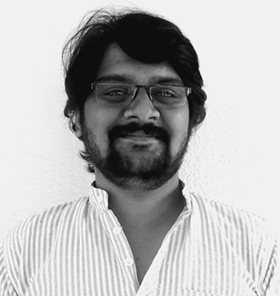 He has completed his Masters in Kannada from Kuvempu University, Masters in Economics from the University of Mysore and Diploma in Inscriptions Studies from Hampi University. At IT for Change, Jai Vipra researches the digital economy, especially focusing on regulatory debates in the following areas: fintech, AI, platforms and data. She is also part of the organisation's advocacy efforts in national and international fora on digital trade and data rights. Jai graduated with a Masters in Public Policy from the Blavatnik School of Government at the University of Oxford. She was previously at the National Institute of Public Finance and Policy, where she worked on fintech, cryptocurrency and payments on a project with the Ministry of Finance. Jai has also worked as a Legislative Assistant to a Member of Parliament. Karthik is keenly interested in the intersections of digital technology with digital education and e-governance related issues. He is a cinephile and likes writing poetry and stories in Kannada. 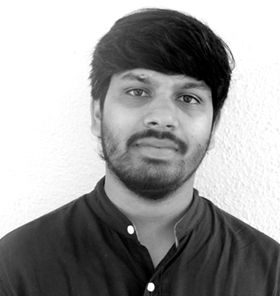 Karthik has completed his Masters in Digital Communication and Signal Processing Engineering from Visvesvaraya Technological University, Belagavi. He finished his Bachelors of Engineering from BMS College of Engineering, Bengaluru. 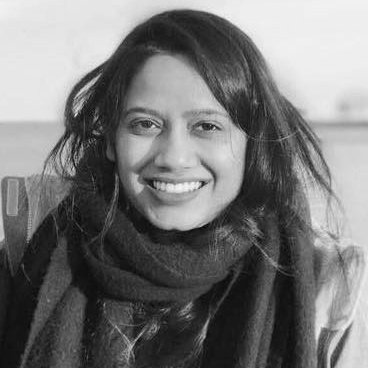 Meenakshi has studied journalism from Lady Shri Ram College for Women and completed her post graduate studies in Media in Development from SOAS, University of London. Previously she has worked at MICA, Ahmedabad where she was researching on Ancient Indian University system and Religious Persecution and Patronage in Ancient India. In London, she has worked with the Centre for the Analysis of Social Media at a think tank, Demos where she analysed and visualised twitter data during the US election 2016. 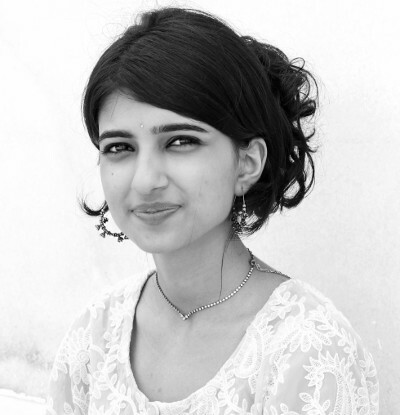 She has also interned at various feminist organisations both in Delhi and in London. Her interest in communications, studying the everyday digital practices, and Violence Against Women and Girls in the cyberspace has brought her to IT for Change. Nowadays, she's interested in reading Dalit feminist literature and media that is created by women. Prakriti Bakshi graduated with a BA (Hons.) 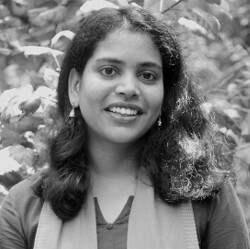 in Journalism from the University of Delhi, during which she volunteered with the Association for Social Justice and Research as part of the Teach India initiative. Moved by an exhibition on the Partition, she volunteered as a Citizen Historian with the 1947 Partition Archives. The Ideosync-UNESCO-Information-Fellowship has now brought her to IT for Change. 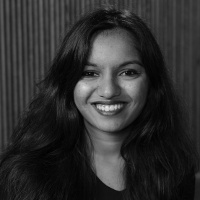 Prakriti is passionate about social change, the written word, and film, preferably all together. Prasanna Kumar Gowda B. K.
Prasanna is the Office Administration Assistant at IT for Change. He joined our team in May, 2008. He is in charge of all work related to office maintenance, providing administrative support to directors and staff - mainly the admin and accounts officers. Before joining IT for Change, he worked at Prakash Motors and Primus Kabsons. Prasanna is a social media fan and an excellent cricket, volleyball and chess player. 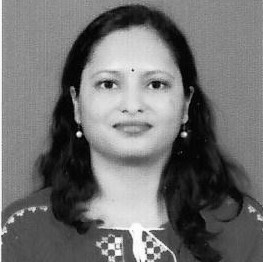 Preeta Pattar is an Electronics Engineer (RV College of Engineering, Bangalore) with several years of experience in the industry (CMC Ltd). However, her love for being independent lured her into the field of education in 2011 and she hasn’t looked back since. 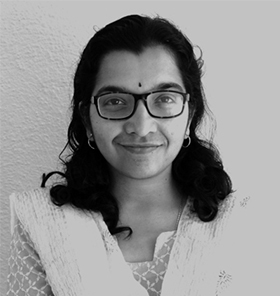 As a maths and physics teacher at three schools in Bangalore, Preeta developed a love for working with children and established a keen interest in exploring fundamental scientific concepts. Her inclination to innovate and experiment led her to join ISPF as one of the educators. Blessed with a baby girl a year back she is also enjoying her motherhood. She loves to read books, is creative and loves designing. 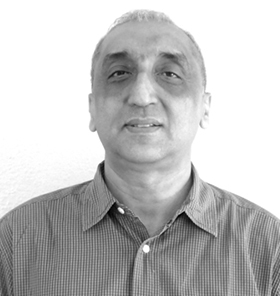 At IT for Change, Rakesh is responsible for technology training and system administration. 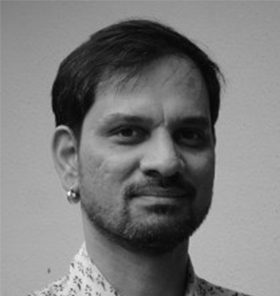 He has designed and conducted workshops for NGOs, educational institutions and government officials on Free and Open Source Software platforms and tools. He also supports workshops conducted for teachers and teacher educators on integrating ICT in education. His work has taken him to all parts of Karnataka and also to other states in India. He is an expert in configuring custom distributions of the Ubuntu GNU/Linux operating system and he has provided these to teachers in all these locations. He has completed his diploma in Electrical and Electronics from the SJM Polytechnic, Challakere and the CCNA course from Jetking in Davangere. His areas of interest include Free and Open Source Software and networking. 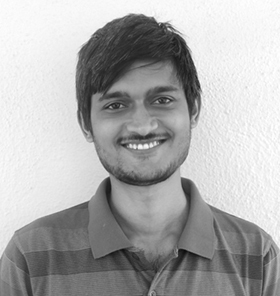 Sandeep is responsible for Financial Accounting and Management Accounting at IT for Change. He runs a fairly sophisticated accounting system, catering to the diverse needs of multiple funders and statutory agencies, covering the activities of the various divisions of IT for Change. His responsibilities also include banking, finance and audit. 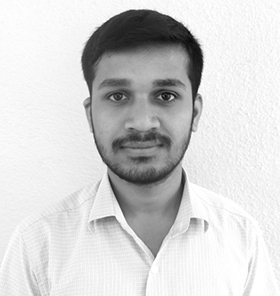 He has completed his B.Com in Bengaluru University and is pursuing his Chartered Accountancy from the Institute of Chartered Accountants of India. Prior to joining IT for Change, Sandeep has worked with two accountancy and audit firms, where he acquired deep experience connected to accounting, taxation and audit. 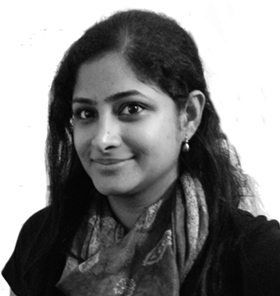 Sarada works as a Project Associate at IT for Change. She did her graduation in Law (B.A., LL.B (Hons.) from the School of Law, Christ, Bengaluru. 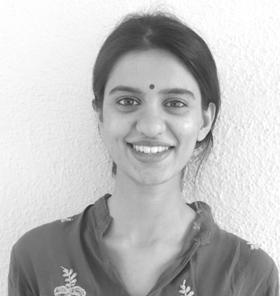 She has previously interned with policy organisations like Centre for Law and Policy Research, Vidhi Centre for Legal Policy and PRS Legislative Research. Her areas of interest are public policy and human rights law. She is an avid reader of both fiction and non fiction books, and also loves to travel. Sunil joined IT for Change on June 2013 as accounts intern and after completing his internship, has been working as Program Assistant since November 2016. Sunil has completed his Bachelors in Commerce from Bengaluru University. Tamilarasi maintains the cleanliness and positive vibe of our office premises. 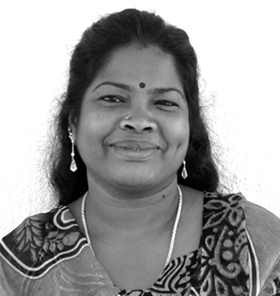 She has two children, Stephen who is in class four and Sudha-Mary who is in class five. Valli makes fabulous lunches for the team and keeps our tummies happy. She has two children, Prithviraj who is in class three and Pramod, who is in class one. 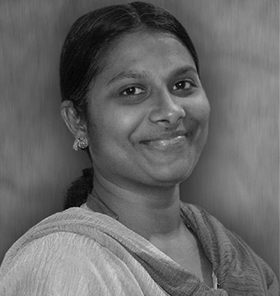 Vineetha works as a project associate with IT for Change. She did her graduation in Electronics and Communication Engineering from Kerala. She has worked with Infosys and Dell as a software engineer. 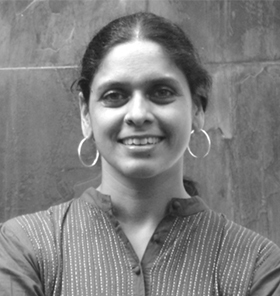 She holds a Masters in Social Work from Tata Institute of Social Sciences, Mumbai. 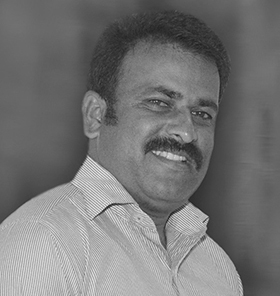 At IT for Change, Yogesh is responsible for the design, development and maintenance of the cloud infrastructure. He is a keen Free and Open Source enthusiast and supports the expanding use of FOSS at IT for Change. He is an expert in various FOSS tools, including those that can be used for educational projects. He collaborates with online communities to improve the FOSS applications that are used in the organization and by other organizations that ITfC works with. He is an avid contributor to the localisation of most commonly used FOSS applications including Firefox, VLC. to his language, Kannada. He also actively contributes to open collaborative projects like OpenStreetMap and Wikipedia. 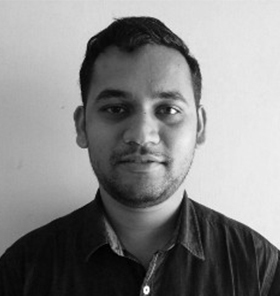 He has completed his Bachelors in Computer Science and Engineering from the Government Engineering College in Hassan, which is affiliated to the VTU, Belgaum. 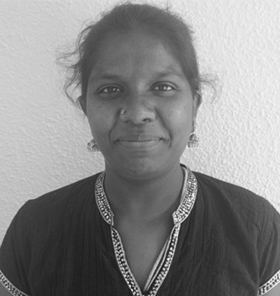 Anupama has completed her Postgraduation in Human Development from the University of Mysore, with 14+ years of experience in the areas of programme and project management - inclusive of operations, capacity building, resource management and relationship management. She has worked in Karnataka and Tamil Nadu, in the areas of micro finance, watershed, water and sanitation, nutrition, livelihood, gender issues, empowerment, HIV AIDS etc. 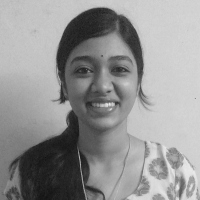 Chinmayi Arakali is a Film maker, Designer and Teacher based out of Mysore. 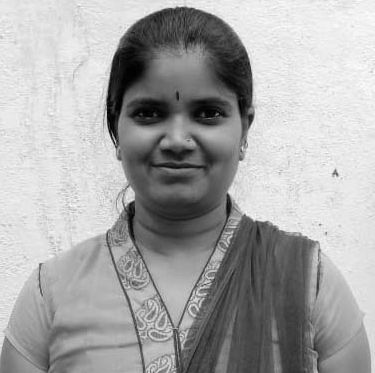 She currently is the Digital Media Coordinator at Prakriye - the field unit of IT for Change, and also teaches film at a media college in Mysore. Previously, she worked with IT for Change mostly on the Mahiti Manthana and the Kishori Chitrapata projects. During that time, she made several short films for and with different communities, devised videos and video screening methods that encouraged dialogue, built a team of film makers and facilitated training for several organisations on how to effectively use media for development. She was actively involved in research projects in the area of gender and technology. She also helped conceptualise a media based curriculum to empower out-of-school adolescent girls. Harisha has a Diploma in Rural Development and has completed his BA from KSOU. He primarily takes care of the Namma Mahithi Kendras (community telecentres). He also contributes to the community media strategy. Mangala has completed BA and Diploma in Journalism (Creative media). She has more than 8 years of experience working with IT for Change and 2 years of Media experience. Her core skills are Audio and Video editing, film making, script writing, team leadership and news writing for paper. Her hobbies include Book reading, writing and news watching. 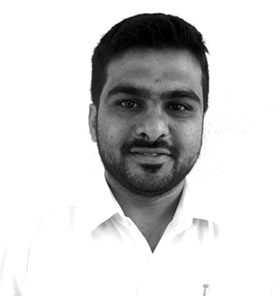 Shabareesh has trained in hardware and networking from Jetking. 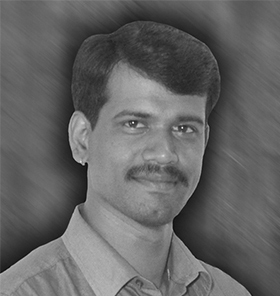 He has completed his BA from the Karnataka State Open University(KSOU). His primary role involves providing technical support at the community-run telecentres. He also engages in giving technical trainings to intermediaries at our information centres. 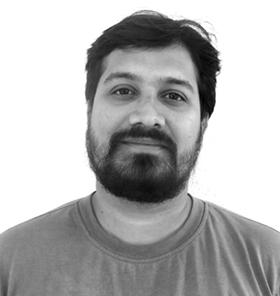 He is passionate about free software and gets involved in the capacity-building workshops. He also contributes to film-making – editing, camera work, etc. 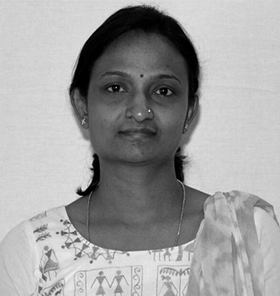 Shreeja has a Masters in Women's studies from University of Mysore. She is involved in community media production, trainings for adolescent girls, and facilitation of community meetings. Somashekar has completed his Bachelors Degree in Education. He supports Namma Mahiti Kendras (community telecentres) and takes care of multimedia editing. Tilak is the official driver. He is an expert videographer. 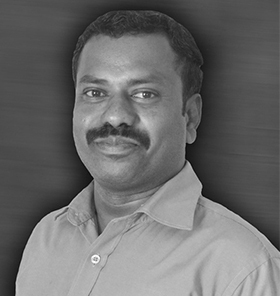 He provides administrative assistance to the Prakriye team and takes care of logistics.